Not all air conditioners are made equal, particularly when it comes to the noise they produce. Some are noisy and emit a low rumble when they’re in use, while others are so whisper-quiet that you won’t even notice that they’re running. 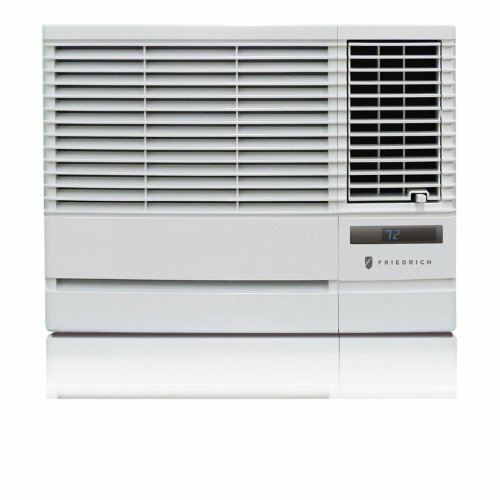 With its quiet operation, the FFRE0533S1 can keep you cool without keeping you awake. Its 5,000 BTU makes it ideal for areas that are 150 square feet or below, and it quickly cools down your room in a matter of seconds. Its low-power startup and 12.2 energy efficiency ratio (EER) allow it to keep your space cool without consuming too much electricity and raising your utility bill. The CP06G10B has ultra-quiet operation, which makes it great for your bedroom and other areas that require absolutely no noise. Its slide-out chassis makes it easy to set up, and it can be installed both in a window or through a wall. Its 6,000 BTU allows it to cool rooms up to 250 square feet, while its digital remote control ensures it’s easy to operate even when you’re lying in bed. 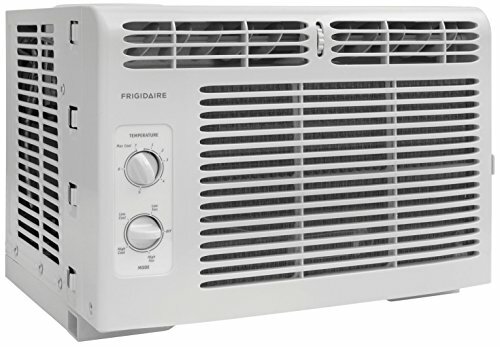 The FFRE1033Q1 has 10,000 BTU, making it ideal for a large bedroom or even a small home. Its quiet operation means you can run it all night without being kept up by loud noises, and its temperature-sensing remote control allows you to maintain your preferred temperature in an easy, hassle-free way. 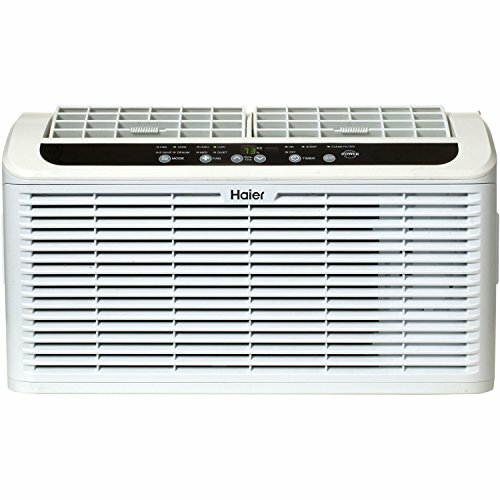 The unit comes with an air ionizer, which removes pollen and impurities from the air and helps you avoid allergy attacks. Recommended cooling area: 251 to 350 sq. ft. 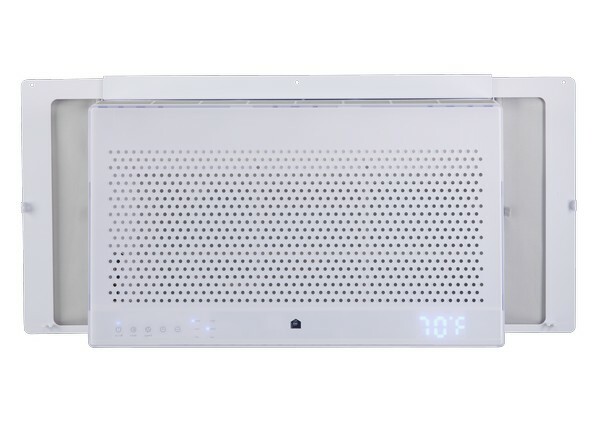 The ESAQ406P comes with a compressor blanket and strategically placed sound insulators to reduce the noise it emits, making it one of the most quiet window air conditioners. Its 6,050 BTU makes it ideal for rooms that are 250 square feet in size and below, and its 11.2 EER allows you to cool your space without consuming a lot of energy. It comes with four modes (Cool, Fan, Energy Save, and Dehumidify) and a 24-hour timer with a Sleep mode. The ESAQ408P might seem expensive at first glance, but it’s actually worth every penny. It emits only 46 decibels, which means it’s quieter by an average of 9 decibels than other window ACs by major brands. 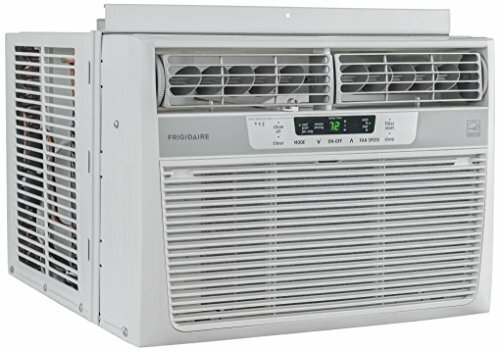 Its 8,000 BTU enables it to cool spaces up to 350 square feet, and its Energy-Saver mode allows you to enjoy a cooler, more comfortable room without a sky-high utility bill. Browse through these quiet window air conditioners to find the right make and model that suits your needs.